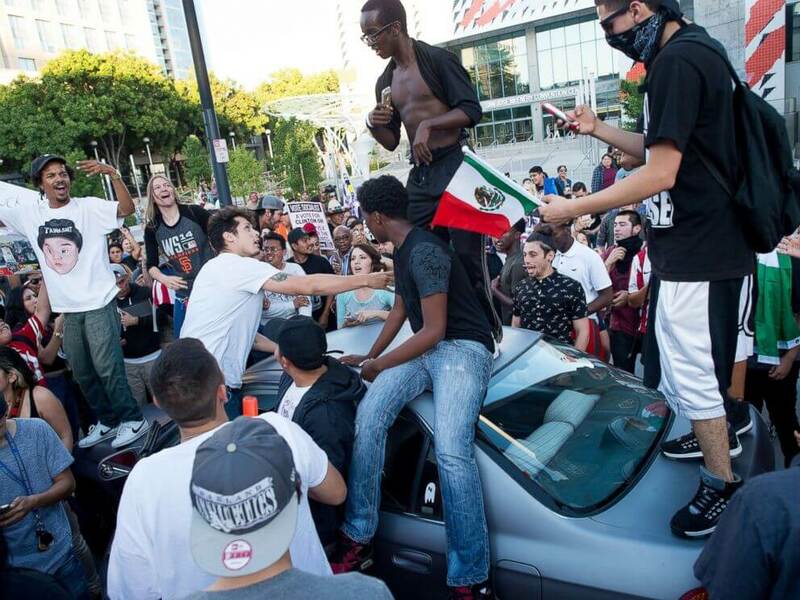 Home > Can Police Officers Be Held Liable for Steering Trump Supporters into Violent Mob? Can Police Officers Be Held Liable for Steering Trump Supporters into Violent Mob? 20 plaintiffs who attended a Trump campaign rally in June 2016 accuse San Jose, California police officers of directing them into a violent crowd of protestors. Plaintiffs say the officers stood by and did nothing while the rally attendees were physically assaulted with objects and hit. An elderly woman was attacked by protesters who pulled her hair and broke her glasses. Another plaintiff, then a 14-year-old boy, was hit twice before running to a San Jose fire department vehicle to ask for help. After he was denied, another protester tackled him. The individual San Jose police officers argued that they were entitled to qualified immunity. But U.S. District Judge Lucy Koh of the Northern District of California denied qualified immunity to the police officers. The 9th U.S. Circuit Court of Appeals has now ruled against the City’s and police’s appeal, which means that the plaintiffs can proceed with their lawsuit. What Is Qualified Immunity for Police Officers? When this test is properly applied, it protects “all but the plainly incompetent or those who knowingly violate the law.” Ashcroft v. al-Kidd, 563 U.S. 731, 743 (2011). This does not mean that the individual police officers must have an actual knowledge of case law or statute. It means that if there is precedent clearly establishing some right, then the police officers are prohibited from violating those rights. “As a general rule, members of the public have no constitutional right to sue [public] employees who fail to protect them against harm inflicted by third parties.” Otherwise, people would sue the police and public officials for failure to prevent burglaries, assaults, murders, etc. An exception to the rule applies when government employees affirmatively place the plaintiff in a position of danger that she would not have otherwise faced. That is, did the officers leave the plaintiffs in a situation more dangerous than the one they already faced? In another case, police (1) arrested the driver, (2) impounded her car, and (3) stranded the woman in a high-crime area at 2:30 a.m. In another case, the court found that the officer had “affirmatively created a danger” when he “notified the Burns family of the [plaintiff’s] allegations [of molestation] against [the Burns’s son,] Michael.” The officer was aware Michael was dangerous, and he had promised to warn the plaintiff before taking any action against Michael, but ultimately failed to do so. Michael later shot and killed the plaintiff’s husband and severely wounded the plaintiff. What do you think? 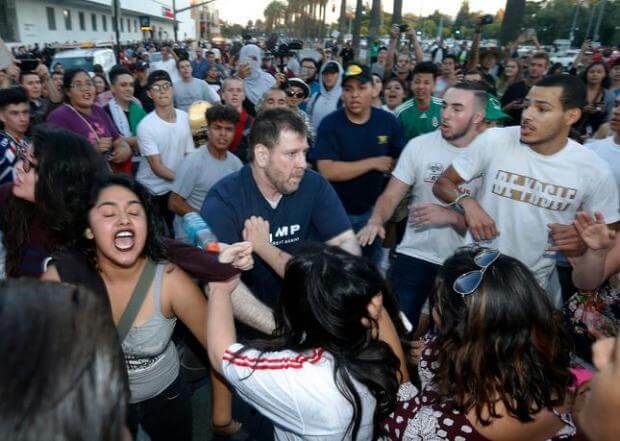 Should the San Jose police have intervened to protect the Trump rally attendees or would that have increased the overall violence level?